Good evening everyone! I hope you are all having a great day! Tonight I have my monthly ipsy bag to share with you guys. This month’s bag is absolutely adorable am I am sure a lot of people signed up this month just for the bag itself! Along with the cute bag, I received a bunch of new to me products. In my ipsy bag I received Deluxe Pointed Crease Brush by Crown Brush, Liquid Gossamer by Jelly Pong Pong, Matte Eyeshadow Pan No. 290 by Luxie Beauty, Mattifying Emulsion & Pore Refiner by Figs & Rouge, and Full Exposure Mascara by Smashbox Cosmetics. 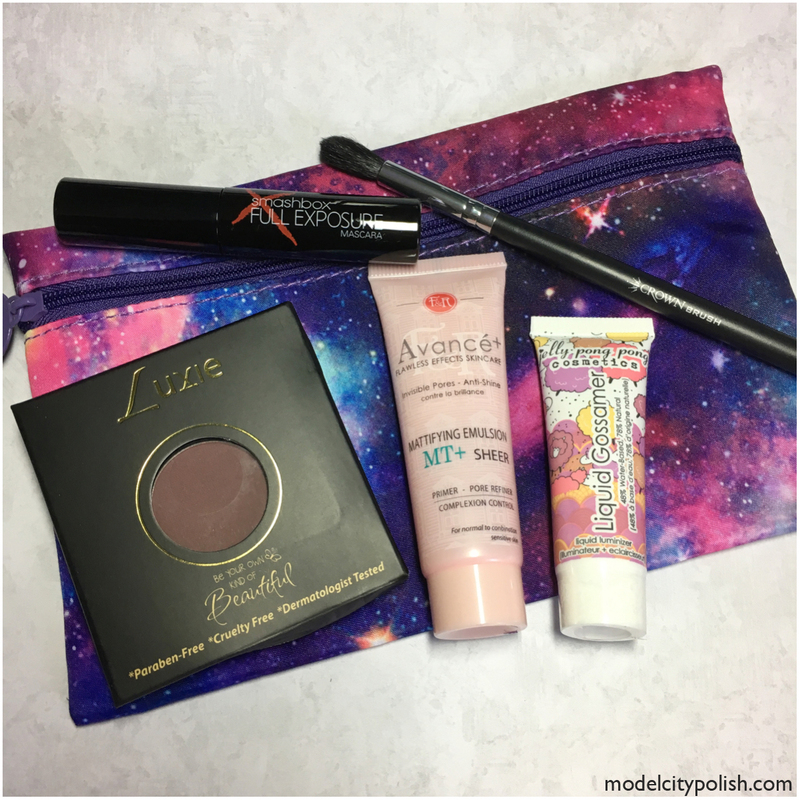 So what do you guys think of my ipsy bag this month? All in all, pretty excited and really look forward to trying out the Mattifiying Emulsion & Pore Refiner. Thank you so much for stopping by this evening and I will see you all again tomorrow.